Long-time friend of Full Sus, mtb-pro and regular contributor Erik Kleinhans shares his thoughts on which races he prefers and why. It doesn’t seem like there is a change in the growth or passion for mountain bike events in South Africa and even though the Masgcor Cederberg 100-Miler and the Gravel and Grape are already in their third year of existence, both are still new in my books and follow a curve of growing slowly and ironing out the perfect rider experience! Let’s not beat about the bush! The Cederberg 100-Miler was tough, making me love it even more! Sure, there are long events on the SA calendar (Baviaans, 36OOne, Munga), but they are more survival, a 100-Miler is still classified by the UCI as a XCM race and still racing as you have to beat your competitors rather than just ride a good steady pace. The Cederberg is spectacular no matter if you are riding, hiking or camping and it is always special to be in that mountainous, solitary environment. The race starts in the small town of Clanwilliam on the coastal side of the Cederberg, which just seemed perfect with the cute houses, concrete roads, old hotel and is so quiet. It was great to relax there before the 160-kilometer race with more than 3000 meters of climbing. The race is not technical, but the terrain often slow going and it feels like you are constantly pedalling with not much descending with the final 60 kilometers flat dafter the last climb, it almost felt like I could not go further and it was great to reach the beautiful Kaleo Farm finish, inland from the Cederberg in a time of 6h37. Even though the full 100-Miler is a proper challenge for all the tough cookies out there, the two-day Trek option seemed to be the favourite of the weekend. Sold out for 2016 and splitting the route in half for a night of camping at Nuwerus, these guys and girls all had massive smiles on their faces and beers in their hands at the finish! Gem number two was the three-day Gravel and Grape stage race. 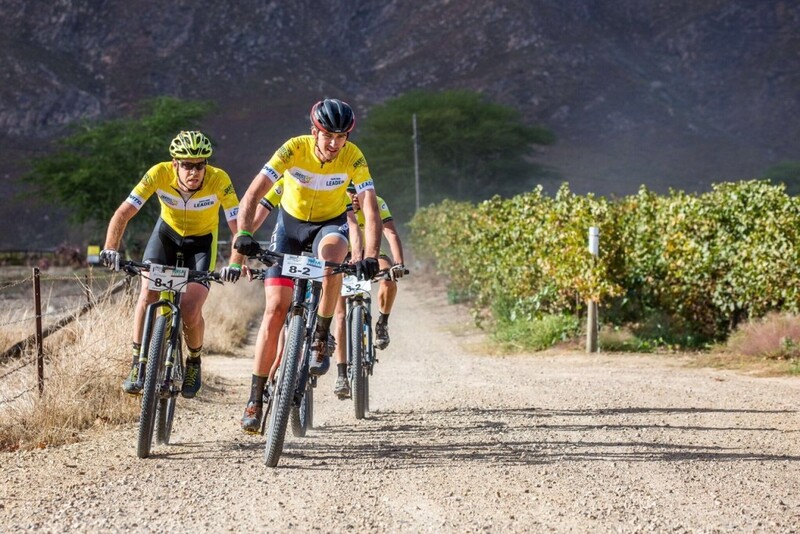 The event is part owned by the Breedekloof tourism, and it is great to see how the winemakers and tourism institution in this area find the value in bringing mountain bikers to their valley. Clearly we boost their economy and I hope it is not just the wine sales! I was really blown away by this event and could not believe the trails we rode hidden in the hills of the Breedekloof and will never look at them the same way whenever I drive through this valley. Each day took us into a different area, and every day there was loads of fun, flowing and technical trails, even better that it wasn’t all super manicured and you felt like you doing quality mountain biking! The only slight downside to the route, mostly for the hobby riders, was that you had some sandy vineyard valley roads to contend with on the way to the trails and back, but it was never that long and a small price to pay. The race venue was the Goudini Spa, so accommodation for this event is easy, but other than that, there are so many options in the Breedekloof for comfy beds, lekker coffee shops, wine tasting and restaurants. The event is not as pricey as many others with no accommodation and dinners included and I almost prefer it that way. It is great to get a beer and tasty lunch after the stage under a big tent and trees for a vibe and sharing war stories, but otherwise it gives you the option to explore the area for a wine tasting at one of the many incredible wine cellars before a different dinner experience or braai. Thank you Matt Beers for teaming up with me, always great racing fast and hard with you! And Iqela Events for putting together two super events that gives us mountain bikers a great reason to head into some more amazing destinations!